Praised for providing an engaging balance of thoughtful examples and explanatory discussion, best-selling author Walter Savitch explains concepts and techniques in a straightforward style using understandable language and code enhanced by a suite of pedagogical tools. 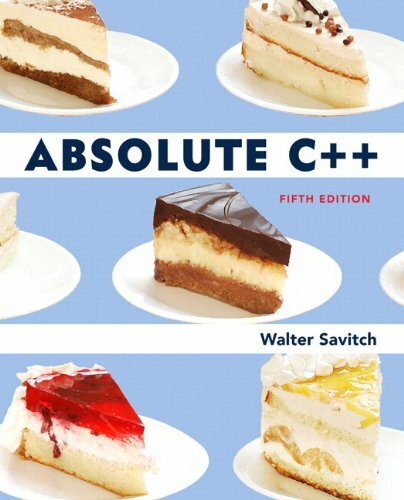 Absolute C++is appropriate for both introductory and intermediate C++ programmers. Tip: What Namespace Specification Should You Use? Tip: "Is a" versus "Has a"